4: how to approach a treatment protocol that will work with that client and their primary care path. 5:understand the holistic approach to anatomy and physiology and learn to apply that knowledge to enhance your treatments. I remember studying my anatomy and physiology and dreading it at the beginning, however when I began to apply that knowledge to a person and a treatment it all made sense. 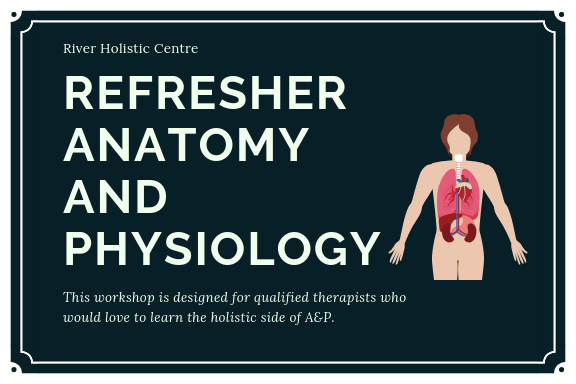 If you would like to go over your A&P and learn how to actually apply it to your treatments and make what you offer clients a complete holistic approach then this course is for you. If you are a qualified therapist and feel like you need to fall in love in A&P again then give me a call and I will talk you through what to expect and what you can improve in your practice.